It’s hot here in North Carolina. July hot. Do you remember that I am not a summer person? I’m doing a fair bit of hibernating, mostly from social media. I’m still getting out on my walks, but I’m keeping busy with some writing projects. Alas, I’m a little behind on my blog reading (and writing!). I’ve admitted in other posts that I’m not a good multitasker, and therefore I focus on what needs to be worked on now. Articles have a deadline, so they take priority. I’ll catch up with everything else soon. Sighting one of these large lime-green moths always makes me happy. Maybe it’s the symbolism of hope, transformation, emergence, growth, and potential that makes me appreciate their existence so much. Or maybe it’s just knowing that for one week, this beautiful being is on this earth and I might be fortunate enough to see her. I hope future generations are fortunate enough to see her descendants, as well. Have a peaceful Sunday. Get outside. Enjoy the view. Take in the beauty of our shared Home. 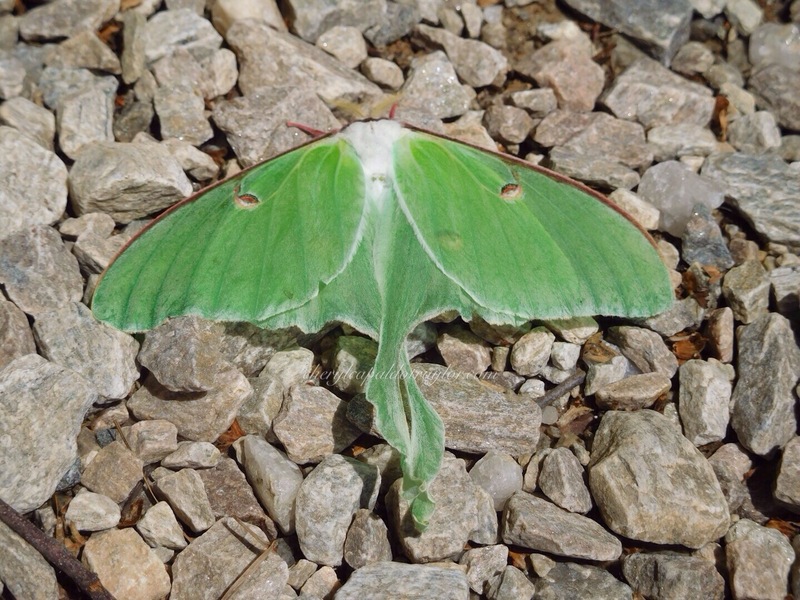 Luna Moth, aka American Moon Moth, various views. Taken with a NikonS7000, July 2017. Interesting and beautiful! I am with you though… this is too much heat for me! Very beautiful! I don’t think I’ve seen one here. Maybe I should be more observant. Concerned for our wonderful planet and critters.Love the article! Thanks Chots. I’m very concerned, too. A little more every day. I relate to the hot temperatures you’re experiencing. It’s not that hot here in Seattle, but when I lived in Madrid for nearly a decade, I would find myself indoors much more than I wanted to. I would go for walks and run first thing in the morning, before the heat really arrived. Beautiful photos! Thanks! 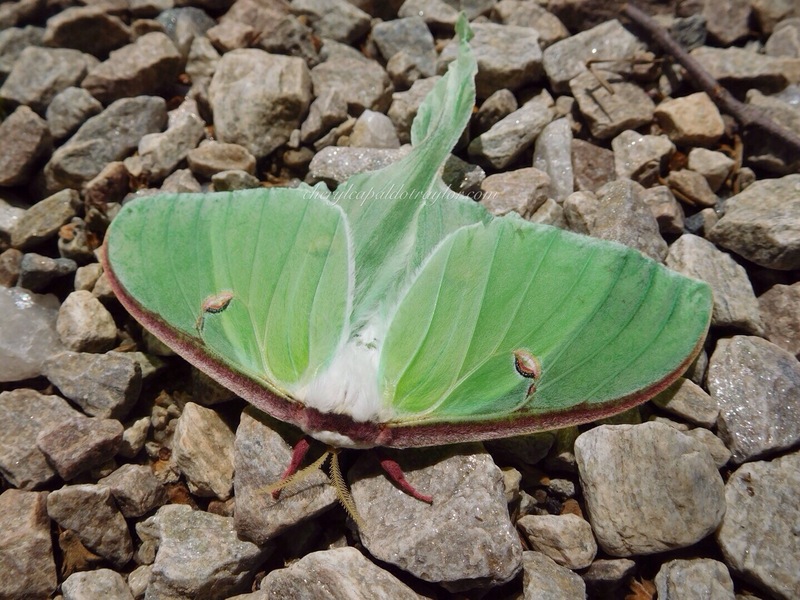 The Luna moth is so special to me. I’m going to hang in there, because summer will soon fade into autumn. I guess summer is the price we have to pay here in the South to have the other three seasons which are beautiful and pleasant. Thank you, Pauline! That’s what I love about the internet: the connections that are made all over the planet. I get to see and experience things I wouldn’t be able to here in my little corner of the world. Derrick, that’s exactly what my husband said about these pictures–looks like something one would see in the water. Thanks so much! Interesting perspective. It’s all a matter of where you are. We endure the winters here to have the beauty and reprieve of summer…although 2017 has been challenging at best. Surely, Mother Nature is letting us know she is not pleased with what we have been doing to her planet. 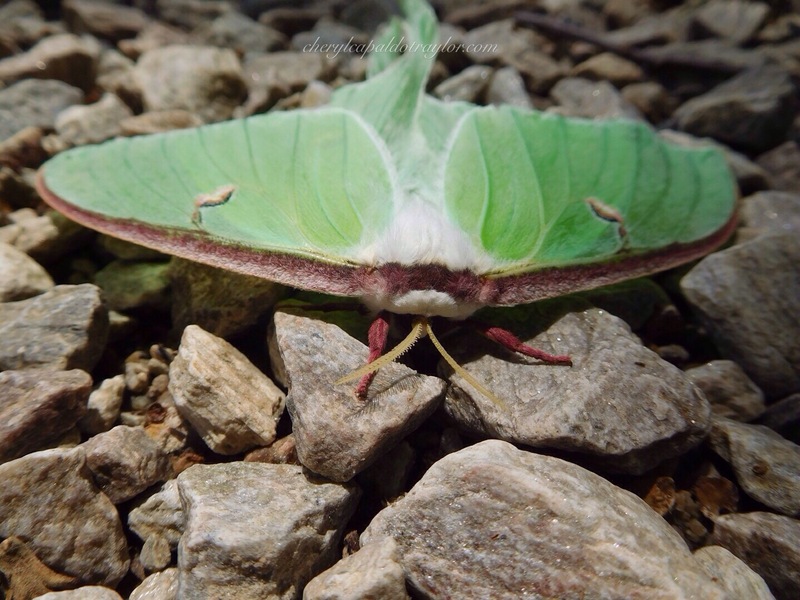 Lovely pictures and beautiful moth!